Check out our Gears Holiday Gift Guide! Show your loyalty to the UIR with new UIR Vanguard Characters and Weapon Skins in our next Gear Pack! The UIR Vanguard Gear Pack features helmetless variants of the blue UIR Elite uniform along with a matching weapon skin set emblazoned with the Elite logo. UIR fans – don’t miss this one! 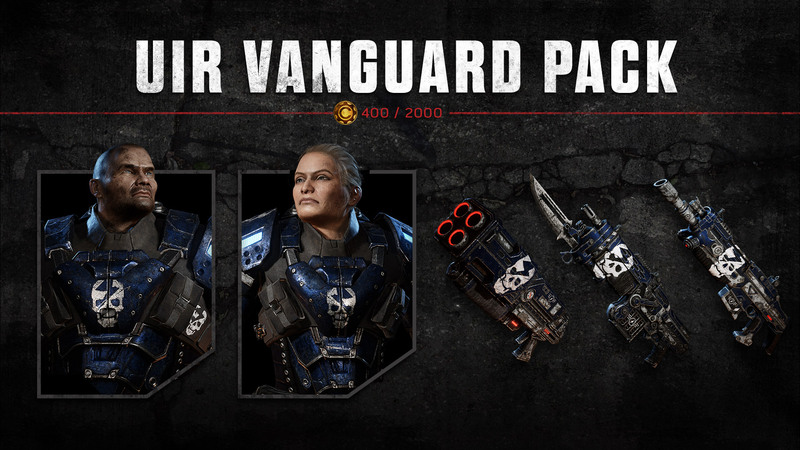 The UIR Vanguard Gear Pack will be available in Gears of War 4 from Wednesday 5th December – Thursday 13th December in both 400 Credit and 2000 Credit variants. As with most of our recent content drops, each character and weapon skin will also be available as a monetary direct-purchase option. Thanksgibbing is almost over, but we’re keeping the event train rolling with returning favorite Luck of the Draw! If you haven’t had a chance to play Luck of the Draw before, brace for the madness that comes with random order Arms Race and the introduction of Heavy Weapons. Jump in to Luck of the Draw from Tuesday 4th December - Wednesday 12th December. 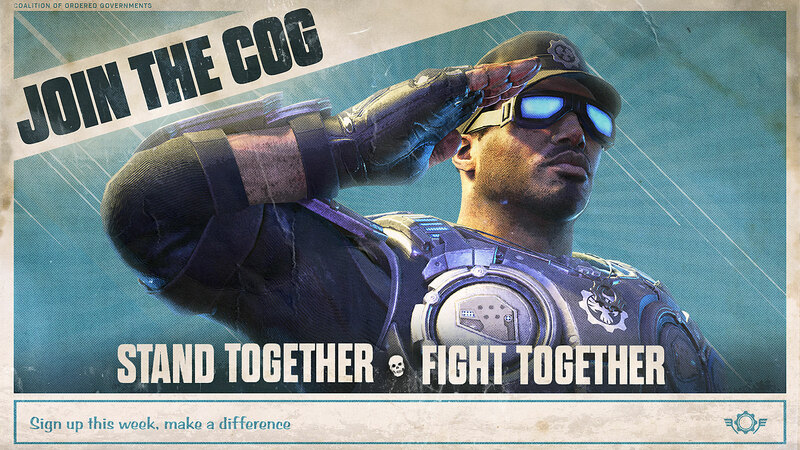 In the theme of military higher ups, our returning pack for this weekend is the COG Officer Pack! Pick it up for 400 Credits beginning on Friday. As December quickly approaches, we know many of you are excited to hear about what Gearsmas has to offer this year. We're not quite ready to talk all things Gearsmas just yet, but we've heard one question loud and clear - will there will be new Gearsmas themed characters and skins to collect this year? We're happy to give you an emphatic YES. Stay tuned for more news on Gearsmas coming up soon. 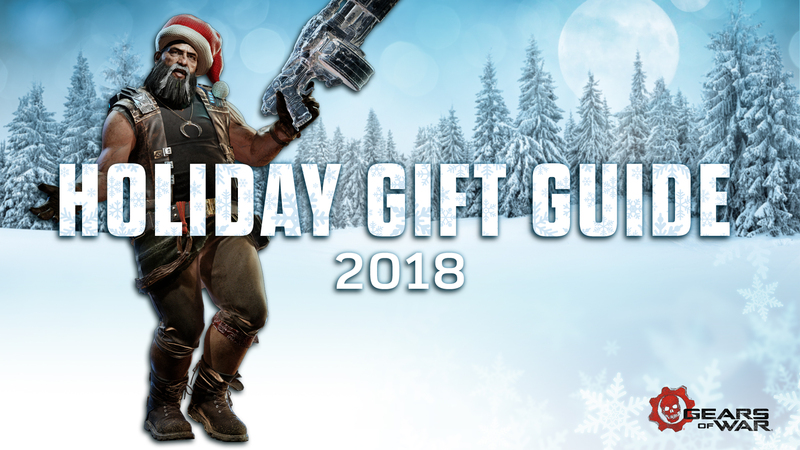 Whether it's for the Anya to your Marcus or the Bacon to your Clayton, find the perfect gift for a Gears fan in our ultimate Holiday Gift Guide! This handy Gears of War gift guide showcases this year's hottest Gears swag to treat yourself or those other Gears-minded people in your life. Head here to read our guide on this year’s hottest Holiday Gears treats! We are finally proud to announce the return of The Coalition Army program! What are the benefits to being a TCA member? We also give back to our creators with exclusive resources and opportunities direct from The Coalition to support your growth as a creator. This ranges from stream overlays to video introductions to in-depth cosplay guides – and we’ll continue to add more content and assets as time goes on! What about that TCA Recruit Lancer we hear you ask? That’ll be back too – but not straight away. Stay tuned for news on how we’ll be rolling that out in the future. What’s new with this TCA relaunch? Firstly, we’ve majorly improved the way we manage user accounts and how you can access assets. However, this does mean we’ve had to wipe our membership database – so if you were a member before, you’ll need to re-register for the program. The main feature of this new program is something we’re calling TCA Partners. This program was established to support the leaders in the Gears Creative community, providing more support, amplification via Gears of War channels and unique opportunities to give back to those who have established their own community. These three factors are highly important to us. As you grow as a Creator, keep them in mind for your best chance of entering the program. Head on over to our official TCA page to get started! Greetings Gears, Vectes here, back with our Gears Creator Spotlight and this week we’re showcasing another aspiring content creator. Introducing John aka Frags, streamer/content creator at Team Essence. Frags joined the #GearsFam in Gears 2 and plays a ton of ranked, gb's, and pickups. He’s been a streaming fiend lately and is currently one of the most watched Gears streamers on Twitch.If you're trying to get in the pickup scrims or ranked, make sure you have a mic and send him a message on Xbox Live – his Gamertag is Ess Fragss. Check out some other great videos on his Twitch channel. You can also keep in touch with Frags on Twitter. Are you a Gears Video Creator in the community? Make sure to sign up for the TCA to be eligible to be featured in What’s Up! Everyone featured will receive the TCA Commendation Lancer.